Welcome wild game meat eaters to your dream restaurant! Gammelgården’s restaurant is inspired and influenced by nature and all it has to offer. Here you can enjoy locally produced products blended with well-composed wildlife dishes. We serve poultry, fish and game from northern Sweden. Our chef blends natural flavors from nature's pantry and creates menus based on seasonal produce. Gammelgården is a well renowned restaurant, with a highly praised menu. Many of our guests return season after season. Inspiration and external influences also help to ensure people return. 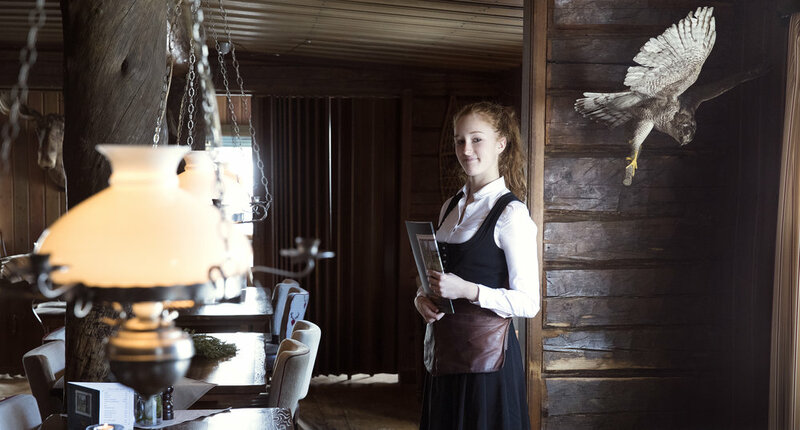 With Gammelgården regularly having guest chefs come in and add their little touches to the menu.Gammelgårdens Restaurant is open daily from 18:00.